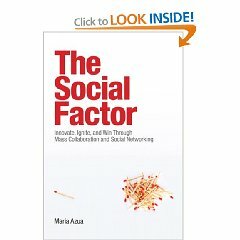 Laurisa Rodriguez had contacted me about the book back in December 2008 to discuss my use of social media. Never expected to be included, surely they had better examples I thought. But we received a full page in the book. Page 112 and also a note of thanks in the foreword right next to Ed, Luis, Luis and Andy among others. We discussed Linkedin which at the time when I could devote more effort was the leading Lotus group. This has slowed down in favor of other social media for us that have produced better business discussions. This blog and Twitter bring me more business than Linkedin ever did or does. The bottom line of Social Media is the person must make the effort but in a world of rapidly changing sites it's nice to see more and more integration between some of them so one can post once and publish everywhere.